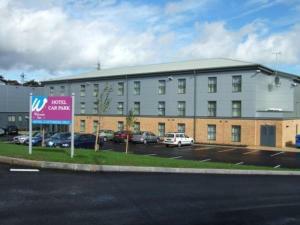 Just over a mile from junction 36 of the M1 motorway, the hotel offers great value, with free parking, a buffet restaurant and spacious, comfortable and modern en suite rooms. 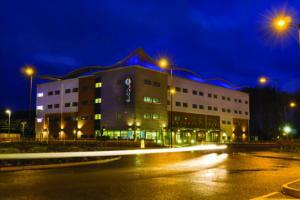 The Premier Inn Sheffield/Barnsley has a convenient location with good access to the region's major roads. Sheffield is less than 10 miles (16 km) away and Barnsley is less than 5.5 miles (9 km) from the hotel. Some rooms can take 2 adults and up to 2 children (under 16 years). The 2 children also get a free full breakfast when accompanied by an adult eating a full breakfast. An all-you-can-eat buffet breakfast is available each morning and includes scrambled, fried, poached or boiled eggs, and pork or vegetarian sausages. There is also a wide continental selection. The on-site Taybarns buffet restaurant offers great-tasting food, freshly prepared in front of you. There is something for everyone available from the 34-metre-long food counter, all at one fixed price. Surrounded by 55 acres of breathtaking woodland, this 18th century property has been sensitively renovated and now combines stylish contemporary design with beautiful original features and period charm. Steeped in history, Aston Hall's stunning setting makes for a fabulous urban retreat. There are 52 stunning and super-stylish rooms and suites and the impressive facilities include the ever-popular Zagato Restaurant and the delectable Volante Bar and Lounge. 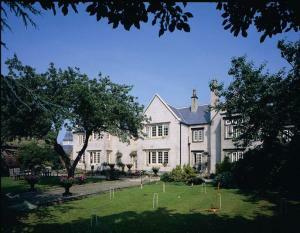 The hotel has 6 conference rooms with plenty of natural daylight and panoramic views of the grounds. The French doors offer direct access to the patio and gardens and are often used as the arrival venue for summer events. Free Wi-Fi wireless internet access is available throughout the hotel. There is also a state-of-the-art gym within the hotel grounds. Aston is only minutes from junction 31 of the M1 and right on the doorstep of the beautiful Peak District. An extended Georgian house two miles east of Barnsley with 74 modern, well equipped bedrooms. 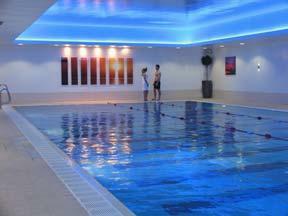 The hotel has a full range of facilities including bar, restaurant, health club with swimming pool and beauty spa. Part of the Forestdale Group. 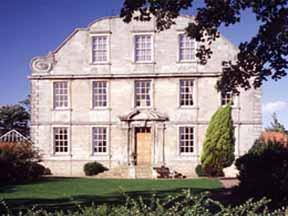 The hotel is renowned for its warm and friendly atmosphere, together with its high standards of presentation and service, and it is set in its own grounds with ample free car parking. Our aim is to make your stay home from home, and as our motto says 'Our House is Your House'. Hotel with no lift. Established in 1963, this small family-run hotel in Rotherham aims to offer you a friendly home from home atmosphere where all the staff care for your wellbeing. The Brecon Hotel is perfectly located for enjoying the many attractions that surround Rotherham, including the Magna Science Adventure Centre and Meadowhall shopping centre, while Sheffield city centre is just a 10 minute drive away. The hotel is easily accessible from the M1 and M18 motorways, making it perfectly suited for a business stopover, a short break, or even to experience a meal in the traditional restaurant. The restaurant features extensive ? la carte and seasonal menus along with traditional Sunday lunch. The cuisine is known throughout the area for its quality and generous portions. The hotel now also has a new beauty room where an experienced therapist offers a wide range of treatments in relaxing surroundings. Right in the heart of Sheffield's city centre, less than 750 metres from Sheffield Station, the hotel offers great value, with spacious, modern rooms with air conditioning and satellite TV. 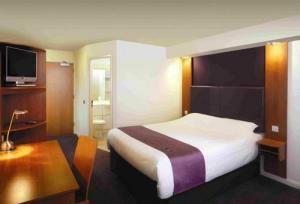 The Premier Inn Sheffield City Centre has a superb location, only 5 minutes' walk from the Carling Academy. The hotel has a 24-hour reception desk and all rooms have satellite TV and telephone/modem points. Some rooms can take 2 adults and up to 2 children (under 16 years). The 2 children also get a free full breakfast when accompanied by an adult eating a full breakfast. An all-you-can-eat buffet breakfast is available each morning and includes scrambled, fried, poached or boiled eggs, and pork or vegetarian sausages. There is also a wide continental selection. The on-site bar and restaurant offers good food and drink at reasonable prices. There is also an on-site Costa Coffee and guests receive a discounted rate on use of a local gym. This recently refurbished hotel is ideally located in the heart of Sheffield and within easy reach of the M1, junction 33. The train station, which is only 2 stops away on the tram, provides easy access to the hotel. The city's 'Supertram' facilities are a 2-minute walk away and go directly to Don Valley Stadium, Sheffield Arena, and the famous Meadowhall shopping centre. The Crucible and Lyceum (award winning theatres) are 2 minutes' walk away as is Ponds Forge International Sports Centre (discounted passes available). A car park is located opposite the hotel and offers reduced rates for guests. Free Wi-Fi is also available throughout the hotel which makes it a perfect place to stay for business or pleasure. You can also take advantage of 'A lie-in on us'; Sunday's check-out is not until 12:00. 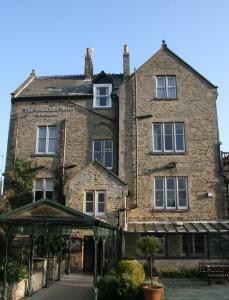 Cutlers Hotel has put emphasis on a friendly but attentive service to ensure a relaxing and comfortable stay.